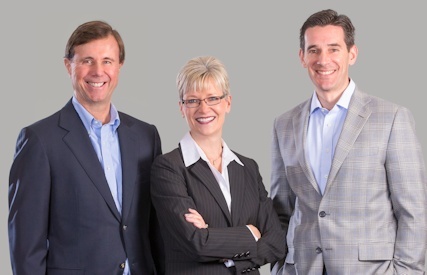 In 2012, Peter Taft, Karen Tuleta, and Joe Machado (the “Partners”) formed MPE Partners (“MPE” or “Morgenthaler Private Equity”). MPE focuses on lower middle market leveraged buyouts, recapitalizations, and build-up investments. Prior to forming MPE, the Partners were responsible for managing the private equity investments of Morgenthaler, a national venture capital and private equity investment firm. MPE was formed as a separate and distinct entity from Morgenthaler and MPE is not an affiliate of Morgenthaler. The Partners have fully realized all of Morgenthaler’s private equity investments. Since MPE’s first investment in 2013, all private equity investments have been and will be made through funds managed by MPE Partners. Morgenthaler was founded in 1968 by David Morgenthaler, a successful Cleveland-based entrepreneur, to pursue venture capital and private equity investments. Morgenthaler was one of the first private equity and venture capital firms to recognize the value of combining operating, investment, and financial experience in order to better support the management teams of its investments and to drive strong investment returns. Beginning in 2005, Morgenthaler initiated a process to separate its investment fund structure and create the systems and infrastructure to enable its three investment teams to raise independent, sector-specific funds. Consistent with this process, MPE Partners went on to establish its own funds and portfolio dedicated to lower middle market private equity investments. In tribute to the Partners’ long-term relationship with David Morgenthaler, as a business partner, mentor, and friend, we are pleased to share this brief biography on David’s successful operating and investment career and his many lifetime achievements. 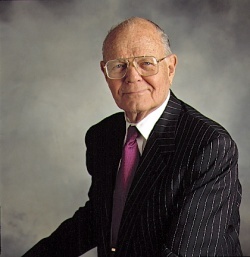 David Morgenthaler founded Morgenthaler Associates in 1968 after a successful career as an operating executive. His industrial roots trace back to his start at the Massachusetts Institute of Technology, where he graduated with a S.B. and S.M. in Mechanical Engineering in 1941. On December 8, 1941, David was called to active duty in the U.S. Army Corps of Engineers as a Second Lieutenant in the 21st Aviation Engineer Regiment. He was promoted to Captain, commanding a line company in the North African campaign. Subsequently, in Italy, he was promoted to command the Headquarters and Service Company of the regiment – one of the largest engineer units in the Mediterranean. David served as a Major in the U.S. Army Reserves until his discharge. After serving in the military, David transitioned to the entrepreneurial world and helped found several start-ups. He moved on to serve as the VP and Director of Sales of Delavan Manufacturing Company, which became the largest manufacturer of jet engine fuel nozzles in the world. In 1957 David joined as the CEO of PE-backed Foseco, Inc., a manufacturer of specialty chemicals. Over the next 11 years, he built the company into the largest manufacturer of exothermic chemicals for foundries and steel mills in the U.S., ultimately merging the company with its British licensor. Following this, he became Chairman for North America and helped to build a multinational enterprise of 57 corporations, manufacturing in 22 countries and warehousing and selling in 75 countries. Through his time at Foseco, David recognized the benefit of combining operational expertise with private equity investing. In 1968, he left Foseco to found Morgenthaler Associates (later known as Morgenthaler Ventures), one of the first venture capital and private equity investment firms focused on achieving returns through operational improvements. The firm’s early success enabled it to begin raising institutional funds in the 1980s. David went on to serve as a Director, Chairman, or President of more than 30 companies throughout his career. Prior to stepping back from day-to-day operations at Morgenthaler, David worked with, and provided counsel to, the principals of MPE Partners, who were responsible for managing the firm’s private equity investments. David was recognized for his vision and success at various points in Morgenthaler’s 48-year history. His awards include the first Lifetime Achievement Award granted by the NVCA in 1996, the Private Equity Lifetime Achievement Award, the Private Equity Analyst’s Hall of Fame, the Association for Corporate Growth Lifetime Achievement Award, the Harvard Business School “Entrepreneur of the Year” Award, one of the two first Honorary Fellows of the Kauffman Foundation, and the first Lifetime Achievement Award of the International Business Forum (IBF). In addition to these and many other honors, he served as a member of the President’s Circle and the Science, Technology, and Economic Policy Board of the National Academies and was also an Emeritus Trustee and Distinguished Fellow of The Cleveland Clinic Foundation. He also served on the President’s Advisory Committee at Case Western University, the Dean’s Advisory Committee of the Sloan School of MIT, the Dean’s Advisory Committee of Carnegie-Mellon University Tepper School, a member of SIEPR, and an Overseer of the Hoover Institution.